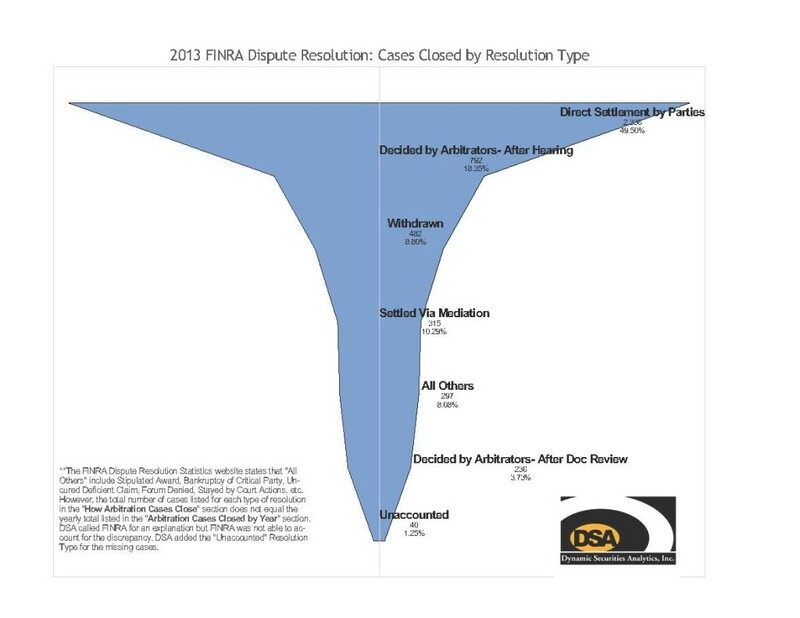 DSA analyzed how cases were closed through the FINRA dispute resolution process in 2013. Non-Customer cases accounted for 51% of arbitrations (paper & hearing). DSA prepared the graphic below of how FINRA dispute resolution cases were closed in 2013.